Los Países Bajos – The Netherlands – ¿Dónde Está el Baño? I had high expectations for my first trip outside of Spain and Amsterdam did not disappoint. When my USC Madrid friends and I landed, my dear friend Ellie greeted us. 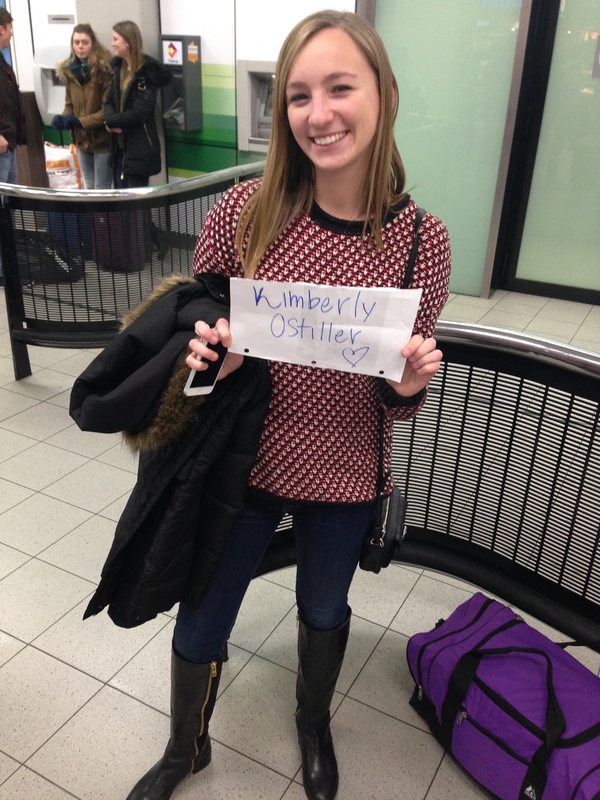 She and I are both Thetas at USC so I was thrilled to be traveling with her. We made our way to Bob’s Youth Hostel to kick off a very full weekend. Let’s just say I don’t know who Bob is, but I’m not sure if I would recommend his hostel. Our room was situated atop three unimaginably steep staircases, but the room itself was clean, and that’s what’s most important. We heard that, among many things, Amsterdam is famous for its pancakes. We tried confirming this with some Dutch people, but they made it seem that it was an American rumor and pancakes aren’t even that Dutch. Regardless, we enjoyed the pancakes all the same. At The Pancake Bakery, Ellie and I split one savory and one sweet. Dutch pancakes are similar to crepes in thickness, but are larger like the size of pizzas. Our traveling group consisted of Reed, Janice, Alden and me from Madrid and Ellie and her friend Stephanie from London. We spent the rest of the day wandering the city’s canals, stopping for dinner at a place called Getto. 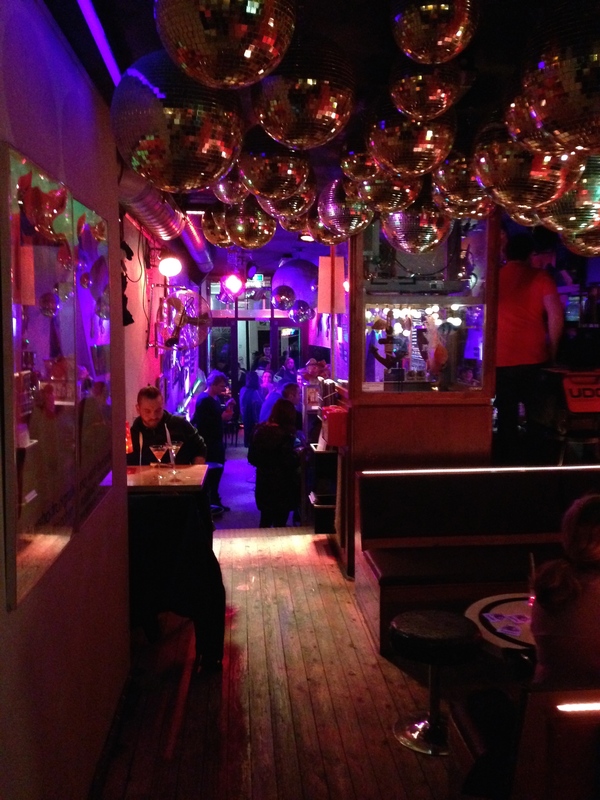 It’s part burger joint, part bar, part club and part drag show. We took advantage of its first two functions, though each burger was named after a drag show diva. That evening we visited the Red Light District. Photos aren’t permitted unless you want to be harassed by large bouncers. Even if they were allowed, I would not have wanted to take one. Some of the scantily-clad women in the windows framed by red neon lights were posing provocatively or gesturing toward potential clients, while others looked terribly bored and stared at or talked on their phones. It was an unusual and uncomfortable experience. Though it wouldn’t have been a trip to Amsterdam without passing through, I don’t feel the need to visit the Red Light District again should I return to Amsterdam in the future. Day Two began early. After a scenic walk through the canals laced with morning fog, we got in line for the Anne Frank House. Walking through the house took about one hour. It is hard to put into words the sense of emotion, pain and history that fill the walls. I was moved to tears a few times during the self-guided tour. Some of Anne’s original diaries are on display, along with other artifacts. There are interviews with people who helped Anne and her family evade the Nazis for two years. You can watch video clips of her father, the only member of the family who survived the concentration camps. Anne died about one month before the camps were liberated. From one landmark to the next, we headed to the Rijksmuseum, where we met up with Tenaya and Elena, two other Thetas studying in Amsterdam. We took the obligatory photos in front of the “I amsterdam” letters before heading inside . For such a large museum, I was underwhelmed. The works were cold and dark, communicating the subjects’ sadness caused by the harsh weather conditions. 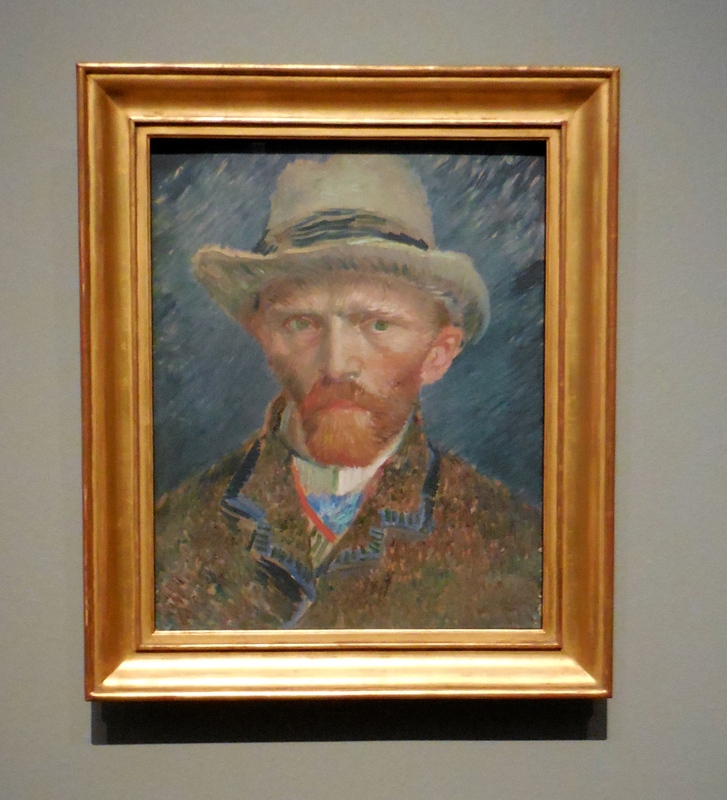 I am beginning to prefer the warmth and colors of Southern European painting, but I did enjoy seeing Van Gogh’s self-portrait and Vermeer’s Milkmaid. Across the Museumplein plaza is the Van Gogh museum, which we didn’t have time to visit. You can’t do it all! We finished that evening and the next morning with a combination of walking, taking photos in front of every canal in sight, eating, experiencing some of Amsterdam’s nightlife, and a spontaneous visit to a Dutch cheese shop and museum. Amsterdam is a city like no other I have ever visited. A city of concentric semi-circular canals growing from the city center, the quaint Dutch architecture of the buildings lining the canals enchanted me. I found the Dutch people to be kind and helpful, and if you didn’t gather already, the food was divine. It was a wonderful weekend with even better friends in a city I certainly hope to visit again. Click here for more pictures from Amsterdam! Can’t get enough of all the canals and bikes and flowers. I really enjoyed Amsterdam when we visited it. Did you see the Amsterdam coat of arms (3 big X’s) everywhere? — I remember them from when I was there 30 years ago! And I remember the food being so yummy! Never got to see A.F.’s house but there is always next time! Very cute picture of Ellie greeting you! What a wonderful weekend.